What makes a kitchen great is not so much about how much space you have as about how you organize it. 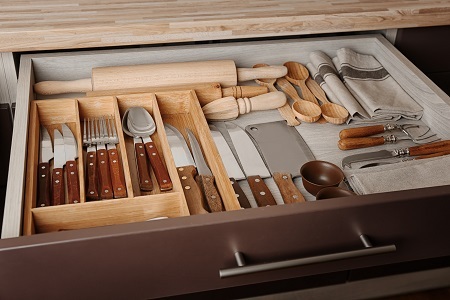 Organizing your kitchen can be overwhelming, especially if you feel like you’re maxed out on all available kitchen storage. So the first step is to give the kitchen an objective assessment. This is sometimes difficult to do yourself, as we all get sentimental about certain items. But it’s time to give some serious thought as to what you actually use on a regular basis. Think about each item & ask yourself “Is it really necessary”? Or ”How often do really I use this appliance”? Decluttering is the first step to organizing any room, and kitchens tend to have more clutter than other rooms. There are those gadgets & wedding-registry items that you never use, yogurt makers, popcorn machines, salad choppers, triplicate sets of measuring spoons & lots more. 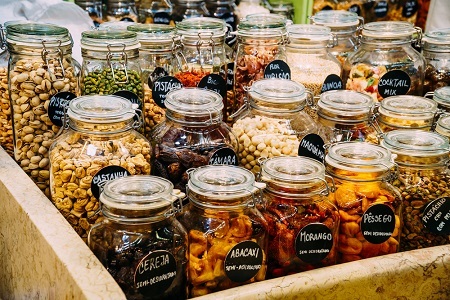 Get rid of expired items like old spices, for example. Go through your cabinets & drawers & set aside your most-used tools & appliances or make a list of them if you don’t want to set them aside. If you have duplicates & can part with them, put them in boxes marked “duplicates” for the moment. Throw out old, broken, rusty or dirty items. 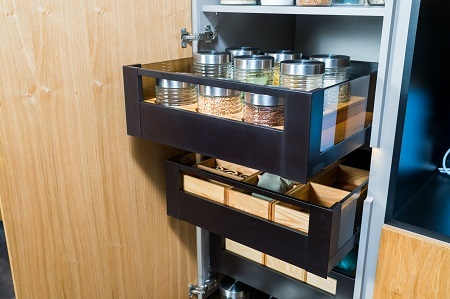 This gives you a starting point to work from as you create a plan of attack to organize your kitchen space.